It's been a very cool couple of months traveling non-stop. Starting in September I did 6 weeks in Switzerland, home for 6 days, 8 weeks in the Southeast, home for 36 hours, and then just returned from an 11 day loop tour through Utah and Nevada. As usual there's always too much to write about in these blogs. The Southeast part of my trip was maybe my favorite ever. Kenyon Smith and I got some of the best conditions this season. We decided to take advantage of the situation and did our best to send as many great things as possible. We mainly spent time at three zones this season: Rocktown, Chattanooga, and Gadsden. Even though I've spent a lot of time climbing here I still got to see so many climbs that were new to me. Complete with jigsaw puzzles, a trip to the Aquarium, Big River Brewery, Moonlight Bistro, ICB, lefts to right, and rights to left. What a great time. It's been a little while since I posted a little bouldering edit so here's another one of my time down south. For the title of the video, there was much debate on how to title a southeast video without using the word "south" or "east". Hence, The Lower Right Corner. Hopefully everyone enjoys this little piece. After the south, I came home for a day before hitting the road again with Brad Perry. I've never done so much in this short amount of time. The first stop was the town of Goldfield, NV. Here we visited the creepy roadside attraction Goldfield Cemetery. We chilled here for the sunset and absorbed the spooky atmosphere of this historic place. At the 5 hour mark this was a great way to break up the drive. Next was Vegas Baby! We checked into the Red Rocks campground and went to a few zones over the next 4 days. 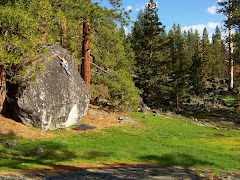 At the Kraft boulders, I got to do the famous historic problems The Pearl and Monkey Bar. These have been on my list for a while and I was psyched to do them. Other problems I liked were Timmy's, Monkey Bar Direct ( could not do it), Alexisizer, Put Your Shoes On Arete, and Progressive Guy ( also could not do it). What an awesome place to finally see. A little crowded but that's expected of a cool place like this one. The other 2 areas we went to were Willow Springs and Oak Creek Canyon. Willow was an easy to find and secluded area. Here I got to do the awesome v10 Ride the White Horse. This crazy slopey lip traverse sits in a wash and is a sloper and tension masterpiece. Absolutely love it. Doesn't hurt to be short on this one and that's rare. At Oak Creek, times were tougher. We completely underestimated the hike and got a little confused/turned around/took-3hours-to-find-the-boulders. It was epic. With all our gear we scrambled up a steep wash looking for anything with chalk on it. At the 3 hour mark, we were on our way down, giving up when we stumbled on the problem Get Burnt. We used what little time we had left to take this one down. Wow, what a move. Hard to find this area but if you like seclusion and a good walk, then this is a cool spot. Next was Saint George. It was all about meeting up with friends and locals and just taking it easy. We cruised the area for a day and did some repeats of the easier and moderate problems. Although I did have a quick repeat of Bazooka Tooth using the crazy beta of climbing it belly down. This method really works out your opposing muscles for climbing as you end up pushing your way up the climb. Check em! This is one of the great ones. 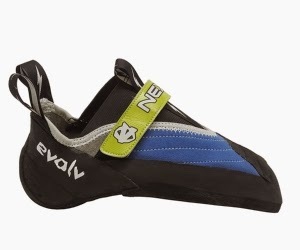 Downturned, love bump, lots of rubber on the toe, a heel hook that doesn't slip. A one of kind weapon for destroying your project! After Salt Lake City, Joe's Valley was next on the list. We had plans of staying a few days, but issues back home had us leaving early to do some TCB. Our time in Joe's didn't consist of too much bouldering but we definitely took advantage of the world's most delicious donuts from the Orangeville Food Ranch. After gaining a few pounds of sheer pastry power, we headed back to South Lake Tahoe to regroup. Over 5 months of straight travel have passed me by once again. Now I'm home again to decompress and plan the next great adventure. So much opportunity in front of me creates stress for a heavy decision. More travel, job, a change. This is how life goes. I have the highest hopes for what lies ahead.